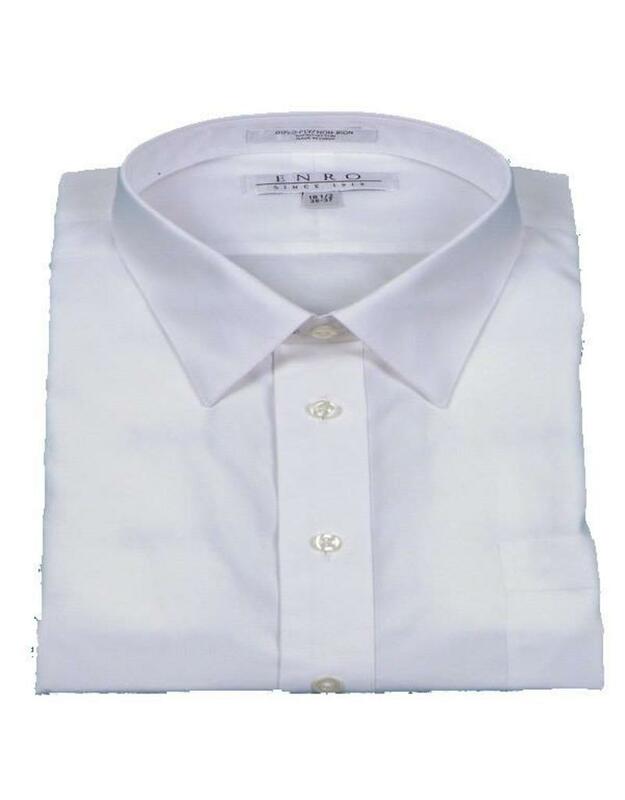 Enro Non-Iron White Spread Collar Dress Shirt: This white spread collar dress shirt from Enro features its non-iron easy care cool label. 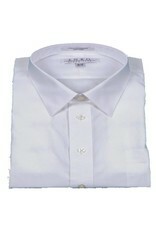 It is 100% combed cotton, machine washable with no shrinkage and never needs ironing. It has pucker free seams, hand turned top fused spread collar, single needle sleeving, tailored sleeve placket, reinforced side seams, extra long shirt tails and cross stitch buttons.